Win Healthy Snacks for Your Work Place! This Is Nuts is growing and we'd like to celebrate by giving back to YOU - everyday athletes who crave high-quality snacks and a healthy lifestyle! 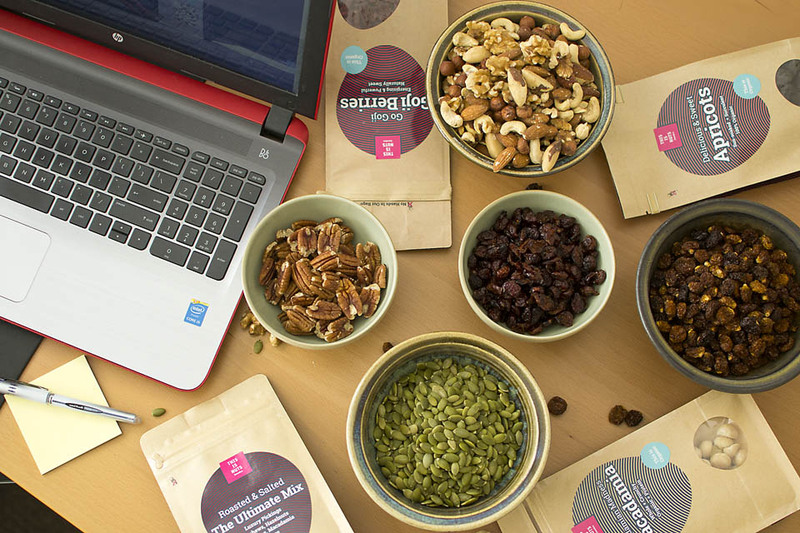 And because we think you deserve to eat well at work too, we're giving away one of our Tasty Tease subscription boxes, filled with yummy, all-natural work place snacks, to two lucky winners. But wait, there's more! We're also super-stoked to have partnered with the fitness experts at World of Shape to offer a 7-day trial of their most popular training program for the winners and their co-workers. Sound good? Then keep reading! Videos with 11 separate exercises for the first three days, then a separate "Exercise of the day" for the remaining days. Healthy and easy-to-fix recipes, accompanied by complete shopping lists. Go to This Is Nuts' Facebook page and find the post about this contest pinned to the top of the page. In the comments for the post, tell us why you would like to win a box of healthy snacks for your work place. The best motivation wins! The giveaway starts on Wednesday, March 1, 2017, and ends on Friday, March 10. You must be 18 and a resident of Sweden to enter. This promotion is in no way sponsored, endorsed or administered by, or associated with, Facebook, Instagram or any other social media channel. By entering the giveaway, entrants are releasing Facebook and Instagram from any responsibility in regards to this event.